Going to Charleston Restaurant or Beer Week? New Year's Eve Babysitters Available! Happy Holidays from Your Happy Nest! We've rounded up the best family friendly happenings around Atlanta for the 2015 season! We wish you and yours happy holidays as we celebrate the end of a wonderful year. Adventure to Santa. North Point Mall and Dream Works Animation take guests on a never-before-seen, magical experience. Once your journey is complete pose for a keepsake photo of your unforgettable experience. Open November 6 through December 24th. Avalon Alpharetta. Discover the perfect holiday this season, with a variety of event to inspire and delight your holiday spirit. From Santa Claus’ arrival to outdoor skating, experience family fun in a winter wonderland all season long. Centennial Olympic Park’s Ice Rink. Enjoy a 90-minute skate session with the Atlanta skyline as your background setting. Open November 21 through January 10th. Garden Lights at the Atlanta Botanical Garden. The annual electrical extravaganza features spectacular light displays throughout the Garden. In 2015, explore new features like the massive Tunnel of Light along with favorites such as the Orchestral Orbs, Glittering Galaxy, Radiant Rainforest, and Model Trains that continue to make the exhibition a must-see holiday tradition. Open November 14 through January 9. Holiday in Lights. Centennial Olympic Park’s annual Holiday in Lights is an Atlanta tradition. In November, the Park transforms into a winter wonderland with thousands of lights that make up the sparkling display. Open November 21 through January 10th. Reindeer Day at the Chattahoochee Nature Center. Don your holiday hats and get your jingle bells ready! A CNC winter tradition returns for its 5th year. Come out for a day all about winter animals and holiday cheer. Join us for these fun activities; straight from the wintery north (North Cobb that is) meet live reindeer that bring the magic and tradition of the holidays alive for the entire family! Rudolph the Red-Nosed Reindeer at Center For Puppetry Arts. Rudolph soars back into town for this faithful adaptation of the wonderful holiday tradition that speaks to the misfits in all of us. Based on the beloved 1964 animated special, Rudolph and his friends take the stage. Open November 12 through December 27th. The Pink Pig. Over fifty years ago, a beloved tradition was born in Atlanta- the Pink Pig. Hop on board and ride Priscilla the Pink Pig on top of the Lenox Square Mall. A portion of the proceeds benefits Children’s Health Care of Atlanta. Open now through January 3rd . Georgia Aquarium's Festival of the SEAson has all the things families love about the holidays with fun twists. Annual standards like seeing Santa are transformed with appearances from SCUBA Claus and the spectacular Holidazzle light show, Symphony of Snow musical performances and fantastical 3D-mapped, 60-foot-high atrium nature shows are perfect for creating unforgettable memories. YOUR HAPPY NEST CINCINNATI HAS CREATED A LIST OF CHILD FRIENDLY ACTIVITIES TO PARTICIPATE IN THIS HOLIDAY SEASON. For more details click on the images below. RICKmas is a fun holiday attraction that provides a place for LEGO lovers of all sizes to come celebrate one of the world's favorite toys and see some awesome LEGO displays. BRICKmas features more than 13 large-scale LEGO displays and is the largest display of its kind in the surrounding states. Two of the more notable displays include a 30 ft. model of the iconic Roebling Bridge and the popular Music Hall display, which will also boast a replica of Washington Park. Bring your family and celebrate Christmas with our live rendition of your favorite holiday special! Don’t let the hustle and bustle of the holidays get you down - Charlie Brown and the rest of the Peanuts gang are here to remind us all about what’s most important during this Yuletide season. 2015 marks the 50th anniversary of the animated television special, A Charlie Brown Christmas. Create a holiday tradition for your family! See the magic of Christmas at the home of the World's Largest Indoor Train Display. Take a "Journey to the North Pole", where you can can meet Mrs. Claus and Santa himself. See our "Main Street Holiday Trains" displays which offers some beautiful winter train displays that are FREE to the public. Extended Hours! From December 12th through December 23rd and December 26th through December 30th we will remain open until 9pm. The Junction is closed on Thanksgiving and Christmas day and closes at 4pm on Christmas Eve and New Year's Eve. Santa goes on vacation after Christmas. The Festival of Lights at the Cincinnati Zoo has become the region's largest and most anticipated holiday event with 2.5 million lights sparkling well past Christmas. The special holiday entertainment, carolers, children's activities, Gingerbread Village, reindeer, train rides, the NEW Wild Lights Show on Swan Lake. Ho ! Ho! Ho! It’s Santa at Macy’s Fountain Place! Fridays and Saturdays, November 27—December 19, 12-8 p.m.
Sundays, November 29—December 20; 12-6 p.m.
Monday – Thursday, December 21-24, 12-5 p.m.
FREE! Bring your own camera for photos with downtown’s only Santa in a festive North Pole setting.Courtesy of Macy’s. Visit with an African American Santa from 3-7 p.m. on Thursday, Dec. 3, 10, and 17! November 2 7-29, December 5-6, 12-13, noon–5 p.m.
FREE! Enjoy free horse-drawn trolley carriage rides through the heart of the city. Courtesy of Macy’s. The 2015 Holiday Show at Krohn is blossoming with the sweet twist of peppermint this season! Hop on the Poinsettia Express and explore a landscape of swirling trees and striped blooms of deep reds and rich chartreuse. Candy cane striped amaryllis, crimson poinsettias dappled in white, spiral junipers, and speckled caladiums create a charming floral setting for this year’s interactive train display and botanical architecture. Trains carrying peppermint candies interweave with fascinating “gingerbread” houses made of all natural materials. Refresh your holiday spirit with your family and friends this year at Krohn Conservatory! Visitors will also experience local musicians, the Schmalz Family holiday display, extended “candlelight” hours and great photo opportunities. This annual lighting of the holiday tree, sparkling with more than 20,000 lights and an illuminated, five-foot-tall red star, on Fountain Square officially welcomes the holiday season. Festivities will begin at 6:00pm with live music, food, and music by local bands. Followed by the official tree lighting ceremony and fireworks show! Create your own flapjack masterpiece at our pancake buffet, enjoy family-friendly hands-on activities and take photos with the jolly man in the red suit, Santa Claus. Treat your guests to a first class experience with one private hour in Holiday Junction featuring the Duke Energy Holiday Trains and the Art of the Brick. The holidays just aren’t the holidays until Santa Claus arrives! Join us the day after Thanksgiving as Santa and Mrs. Claus arrive by helicopter at the base of Union Terminal's fountain, turn on the Christmas tree in our Grand Rotunda and usher in the holiday season here at Cincinnati Museum Center. It's a family tradition that you won't want to miss! Who needs long lines, pricey photo sets, grumpy kids? This year, ditch your annual trip to the mall and venture down to Washington Park. Why? To see Santa Claus of course! That’s right — every Saturday in December, Santa and is merry band of Elves will be spending time in Washington Park making gifts, ornaments and other fun creations from 1pm to 3pm, Santa. Bring your family, bring your wish lists, but most all–be sure to bring your cameras! Activity: Create your own “Reindeer Games” board game with Happen, Inc. or explore Mr. Cowpie’s winter animal education farm. Activity: Build your own “Holiday Ornament” board game with Happen, Inc. or sing carols with Melodic Connections. Activity: Make your own wrapping paper with Happen, Inc. or take photos with your favorite characters from Frozen. Snow Tubing is a fun and exciting wintertime activity that brings people together and creates amazing memories. It is just like sledding – only it’s faster and more accessible. Beach Mountain has OVER 100,000 Christmas lights on our property! Located on five beautiful acres, The Christmas Ranch offers visitors more than 1 million dancing lights which are synchronized to music using state-of-the-art technology! This true winter wonderland has been featured nationally on HGTV and ABC's Good Morning America! Discover the magic of the all-NEW Water Wonderland with Scuba Santa® as Newport Aquarium presents a holiday celebration under the sea. It’s an experience that's overflowing with enchantment and fun new experiences the whole family will love. Join the fun as Scuba Santa fills his air tank with magic bubbles - and sends them throughout the Aquarium creating an enchanted Water Wonderland. Be amazed as you're surrounded by lights and bubbles dancing to holiday music in Shark Ray Bay Theater, where you'll also have the opportunity to meet Scuba Santa one-on-one. The undersea celebration continues with holiday music and more magical bubbles as you journey through the Bizarre and Beautiful Gallery, where the ceiling is filled with hundreds of twinkling sea creature lights. The white gators in Gator Alley are having fun with a truckload of seasonal cheer and special decorations. Now even Mighty Mike loves the holidays. It’s squiggly wiggly jiggly fun in the Jellyfish Gallery as the jellyfish dance and float in rhythm to their very own holiday soundtrack creating a living light show. The all-new Water Wonderland with Scuba Santa is a truly wondrous experience where families connect and interact with the magic of an undersea holiday celebration. The POLAR EXPRESS(TM) returns this holiday season with service to the North Pole. The POLAR EXPRESS(TM) comes to life when the train departs Connersville's Grand Central Station for a journey through the quiet countryside for a special stop at the "North Pole" to allow Santa Claus to board the POLAR EXPRESS. Guests on board will enjoy hot chocolate and a cookie while listening and reading along with the magical story. Experience the joy of watching the children's faces when the train arrives at the "North Pole," where Santa Claus and his helpers will be waiting. Santa will board the POLAR EXPRESS(TM) where he will greet each child and hand them the special first gift of Christmas during the return to the station. You will surely want to make this an annual holiday tradition. Board the train at Grand Central Station in Connersville to pick up Santa Claus along the way. Once on board Santa will come and visit with each child on the train. Train departs at 9:30am, 11:45am and 2pm. Purchase Santa Claus Limited Tickets ONLINE or call 765-825-2054 To Order By Phone. Your Happy Nest is now serving Cincinnati, OH! Your Happy Nest is excited to announce we are now serving the Cincinnati-Northern Kentucky Metropolitan Area! Meet Kristina, our placement provider in Cincinnati, OH. Kristina has been working with our Atlanta branch since July of 2014. Kristina recently decided to relocate back to Cincinnati to be near family and lifelong friends. Take a look at Kristina's bio below and please spread the exciting news to families and nannies who live in the greater Cincinnati area. I am excited to annouce that Your Happy Nest is expanding to my hometown of Cincinnati, OH! I was first introduced to Your Happy Nest when I volunteered to be an organizer for the National Nanny Training Day event in Atlanta that was hosted in 2014. While organizing the event I became acquainted with the staff at Your Happy Nest and felt they were a quality type of agency that supports both the nannies and families needs! Before working with the agency I was a profesional nanny in the Cincinnati area for 8 years and in 2010 I accepted a nanny position in Atlanta, GA. My favorite part of being a nanny is the special relationships that I am able to develop with the children I am caring for. Working with Your Happy Nest has given me the opportunity to help others find the same wonderful experience I enjoy so much. In August of 2013 I welcomed my first child just 8 minutes before my birthday. As a new mother I can relate to a parents needs and concerns when hiring someone to care for their child. As a placement provider my goal is to take the stress out of finding an exceptional nanny so that parents can go to work with a peace of mind knowing their child will be in great hands. **A special thank you to Burning Chair Photography for capturing our adorable promo pics! Your Happy Nest is hosting a CPR & First Aid Workshop! 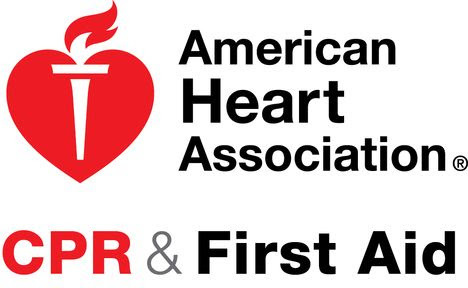 Our CPR & First Aid workshop will be held on August 29th from 9am-2:30pm/3pm. The location is below. The certification is for adult and pediatric CPR and First Aid. Your certificate will be valid for two years. Please bring a packed lunch, snacks, water, etc. as food will not be provided. Space is limited, so please RSVP ASAP. The price is $35.00 per person. You will need to pay in advance in order to RSVP.